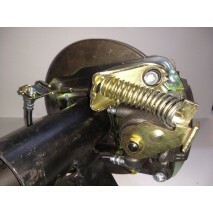 This auction is for a pair of drum to disc brake conversion brackets which will convert your 1955 to.. 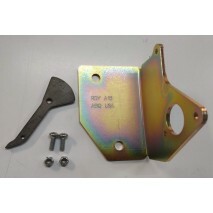 This pair of precision CNC laser-cut, cold rolled steel brackets (made in the the USA) are used.. This is for a pair of drum to disc brake conversion brackets and bearing spacers which will convert .. This setup will allow you to convert your drum spindled 1958 full size Pontiac. We use 19.. This setup will allow you to convert your drum spindled 1959 through 1964 full size Pontiac. &n.. 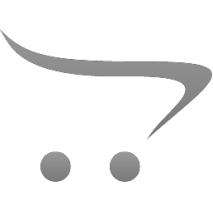 This setup will allow you to convert your drum spindled 1959 through 1964 full size Pontiac to .. 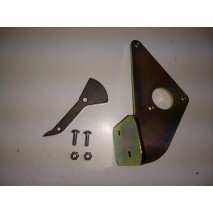 This is our improved 1961-63 Pontiac Tempest front kit. It will require disc wheels, most like.. This setup will allow you to convert your drum spindled 1965 and 1966 full size Pontiac. .. This setup will allow you to convert your drum spindled 1967 through 1968 full size Pontiac to .. This setup will allow you to convert your drum spindled 1967 and 68 full size Pontiac. We use .. Note: this setup is designed to clear the OEM 14" drum rim. As this setup is restr.. 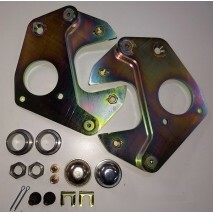 Convert your full size Poncho to front disc with this made in the USA bracket kit. We provide .. 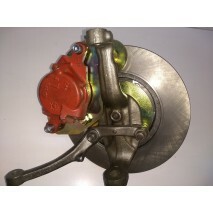 This replaces the missing or corroded emergency brake hardware not available when rebuilt calip..